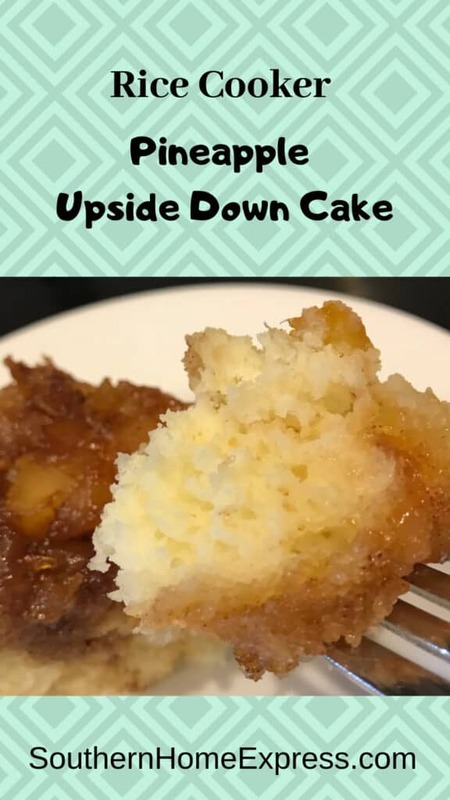 Rice cooker pineapple upside down cake is one of the easiest and most delicious desserts to make. All you need are a rice cooker and a few ingredients. After it’s gone, don’t be surprised when your family asks for it again. Ever since college, I’ve known that you can use many small kitchen appliances for more than one thing. One girl I knew made soup in her coffee maker, while another made fudge in a popcorn popper. It was all great fun as well as practical. When I received my first rice cooker, I made rice almost everyday. After the newness subsided, I decided to try cooking other things in it. Some things worked, while others didn’t. I’ll post more recipes as I make them again. You just might be surprised by what this little workhorse can do. For example, I’ve made frittatas and other desserts in it, and they always turn out to be wonderful. I have two sizes of rice cookers—a small one and a medium one. Eventually, I’ll get a large one, but first, I have to figure out where to store it. That’s always an issue for me since I’m a kitchen gadget junkie. I keep running out of cabinet space. 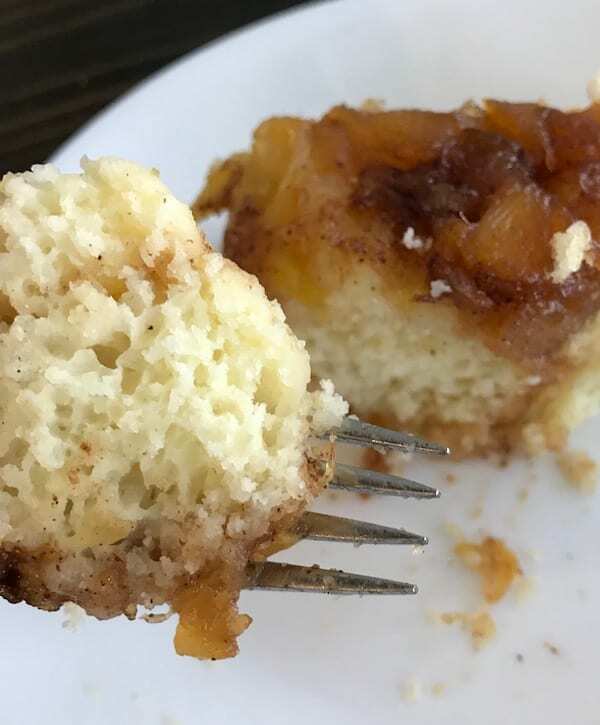 My husband and I both enjoy eating pineapple upside down cake, but it’s messy to make the traditional way. With a rice cooker, you only need a pan and a bowl, so there’s very little cleanup. Are you skeptical about making a pineapple upside down cake in a rice cooker? Think about it. A rice cooker is simply an appliance with a big container and a heating element. Basically, that’s all you need to make quite a few things. It’s actually easier than having to fuss with the oven. Don’t overcook it. Allow it to run through one cycle, test it with a toothpick, and determine whether or not it is done. If not, you can always run it through another cycle. Any form of canned pineapple will work. It’s all about personal preference. If you want to add color, cut some maraschino cherries in half and dot the cake with it after it is cooked. Cooking the cherries will darken them and make them look dull. Add more or less cinnamon and ginger, according to taste. You’ll need some basic ingredients to make this delicious treat. Of course, you’ll start with a medium-size rice cooker. 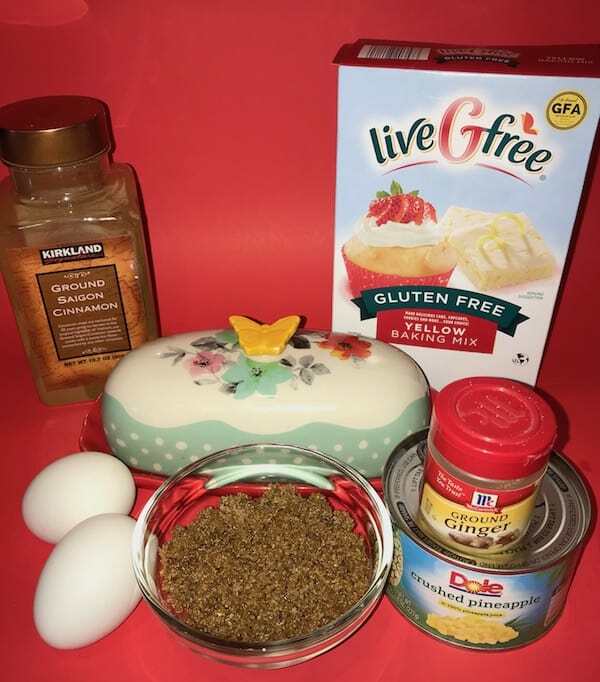 Other things you’ll need are a yellow cake mix, a couple of eggs, a small can of pineapple (crushed, cubes, or slices), brown sugar, butter, and some spices. Additionally, you need some milk. 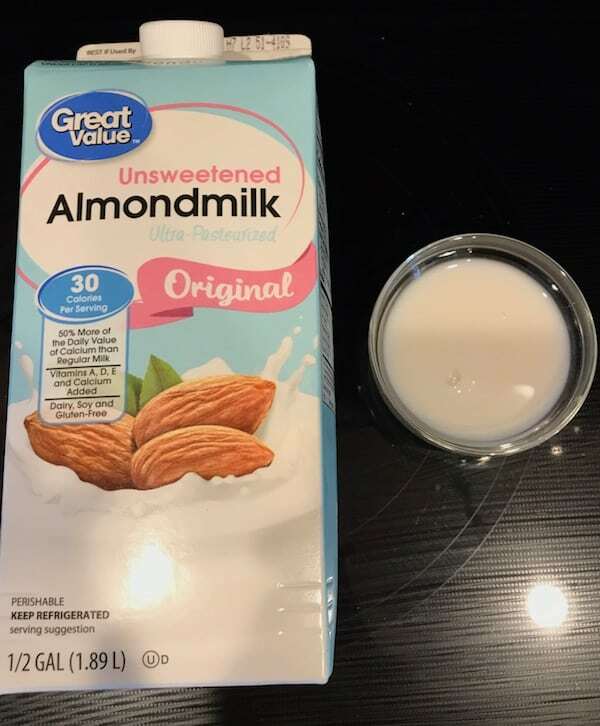 I use unflavored almond milk, but you can use whatever kind you have in the fridge. Spray the inside of the rice cooker. 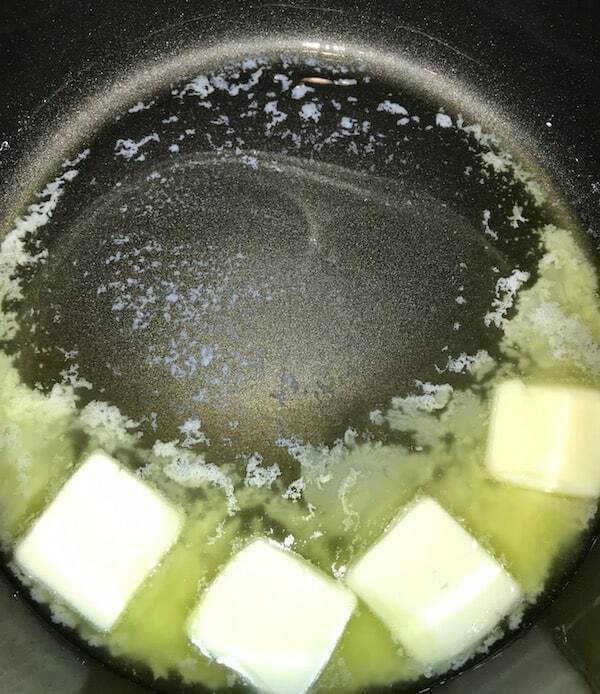 Next, melt the butter. While the butter is melting, combine the eggs, milk, and cake mix in a medium-size bowl. Mix well. After the butter is melted, add the brown sugar and spices. Keep the rice cooker on while you stir. Once the sugar has melted, add the pineapple. Finally, pour the cake batter into the rice cooker and put the lid on so it can do its work. Allow the rice cooker to run through its regular 15-minute cycle. Then use the toothpick test to check for doneness. If the toothpick comes out clean, turn off the heat (or unplug it) and let it rest for about 5-10 minutes. Place a plate over the rice cooker and quickly flip the cake onto the plate. It came out much more easily than the traditional version. Normally, my pineapple upside down cakes stick to the pan. But with the rice cooker, it let go without any trouble. 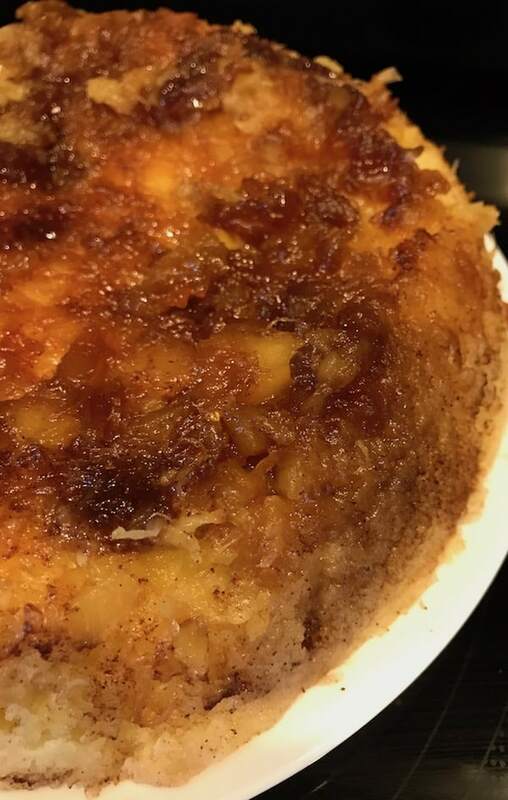 The texture of my rice cooker upside down cake is much better than the traditional version. Whether it’s the method of cooking or something scientific that I don’t understand, it doesn’t matter. There wasn’t a dry bite in the whole cake. Even my husband was amazed by the texture. 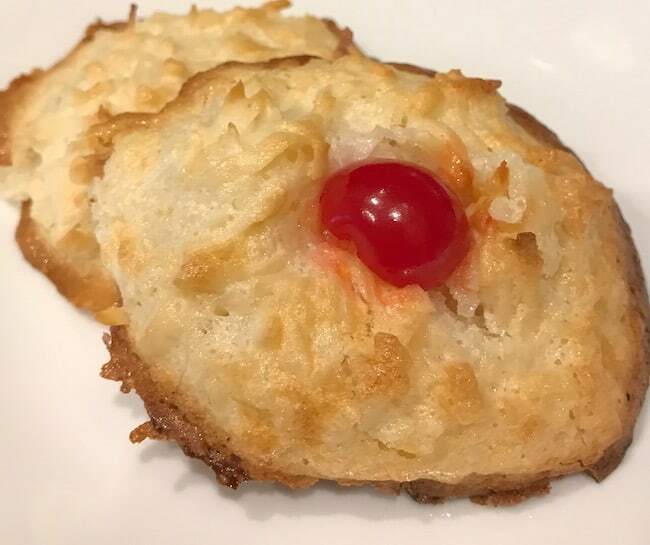 If you enjoyed this recipe and would like to see more, please sign up for my newsletter by leaving your email in the box on the top right of this page. Rice cookers are appliances that have been around for a long time. However, their popularity has soared in the last ten years. What Is the Best Rice Cooker to Buy? Choose a rice cooker that suits your needs. First, determine how big of one you need based on the number of people you cook for. Secondly, decide what features you’ll need and find one that has them. Last, look at the reviews of the ones you like and let that help you make a decision. What Are the Benefits of a Rice Cooker? 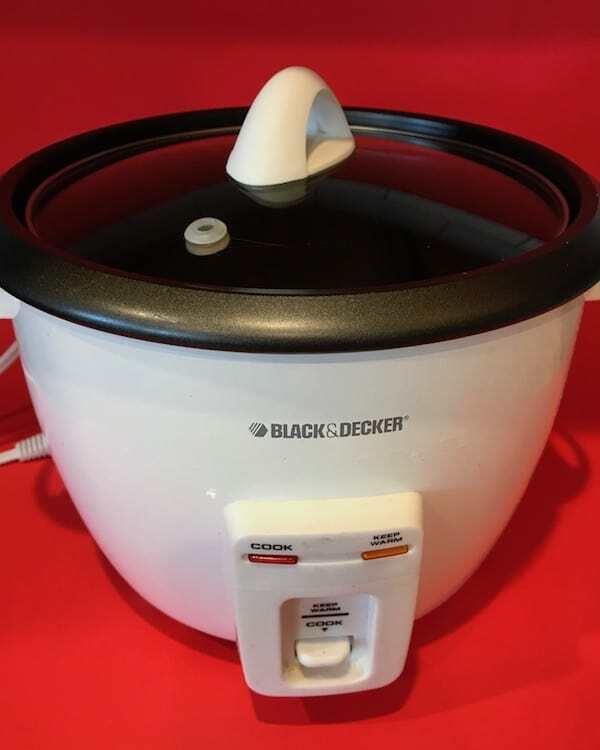 A rice cooker is the best way to prepare rice because after it reaches the desired doneness it keeps the rice warm until the rest of the meal is ready. As you can see from the information above, there are other things you can cook besides rice. What Is the Difference Between a Rice Cooker and a Slow Cooker? A slow cooker slowly brings the food up to the desired cooking temperature, while the rice cooker does it as quickly as possible. If you enjoyed this recipe and want to see more, please sign up for my newsletter. 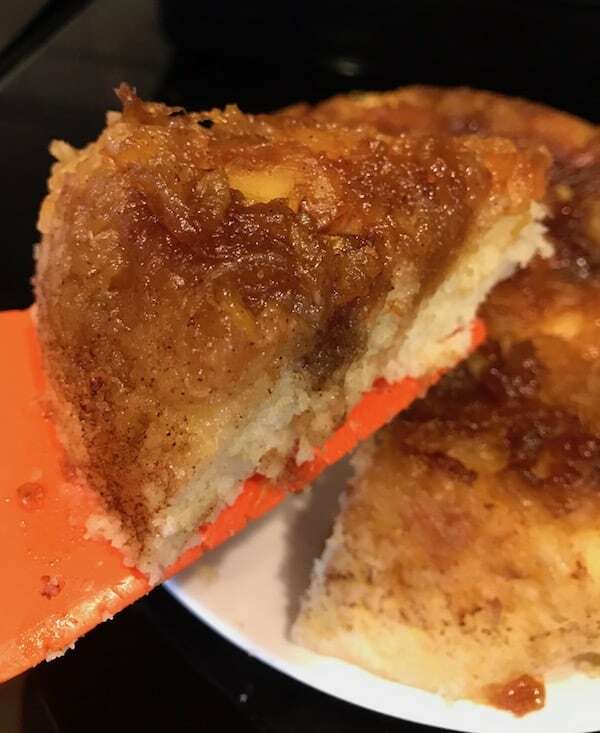 This delicious and moist pineapple upside down cake was made in a rice cooker. It's easy to prepare! Spray the interior of the bowl section of a medium-size rice cooker with nonstick cooking spray. Turn on the rice cooker. Cut the butter into pieces and put in the cooker. Melt the butter. 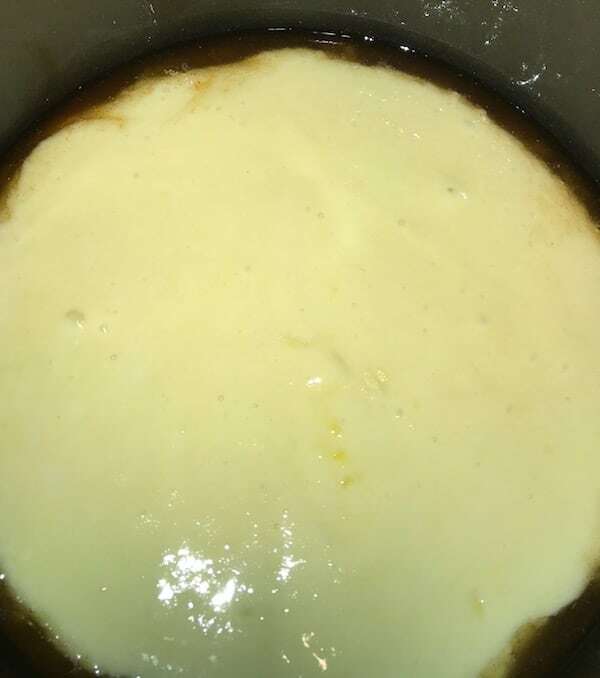 While the butter is melting, Mix the cake mix with the eggs and milk in a medium-size bowl. 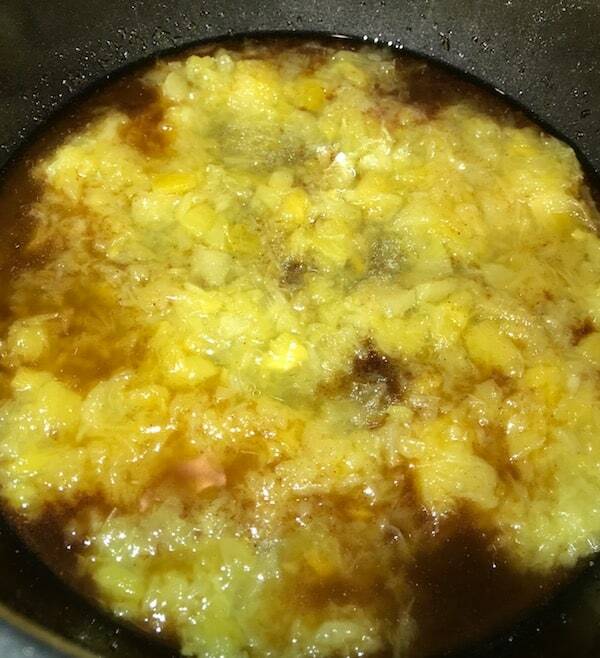 Add the sugar and spices to the melted butter. 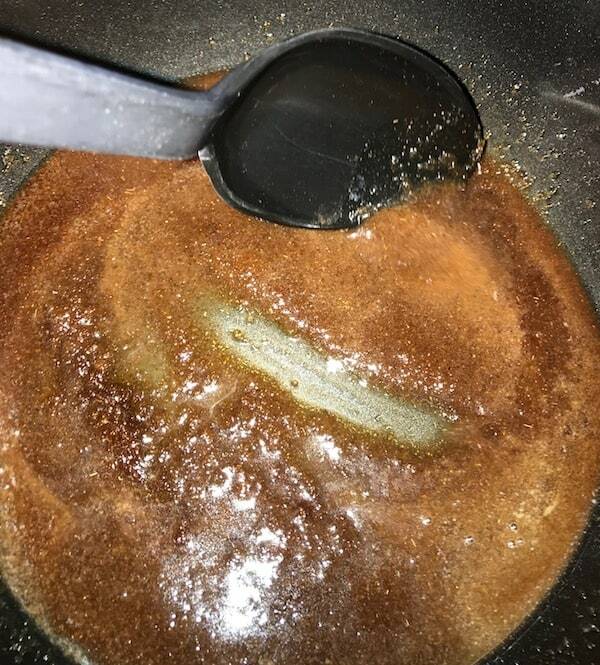 Stir until the sugar melts into the butter. Drain the pineapple and add the juice to the batter. Pour the pineapple into the rice cooker and spread over the melted sugar. Stir the batter again, until the pineapple juice is evenly distributed. Pour the batter over the pineapple in the rice cooker and put the lid on it. Cook for a full 15-minute cycle. Check for doneness by inserting a toothpick. If it comes out without cake batter on it, it’s done. If not, turn it on again and check every 5 minutes. Be careful not to overcook it, or it will come out dry. Mine was done after the first cycle. Turn off the heat and let the cake rest for 5-10 minutes. Place a plate upside down over the top of the rice cooker opening and quickly flip the cake onto it. 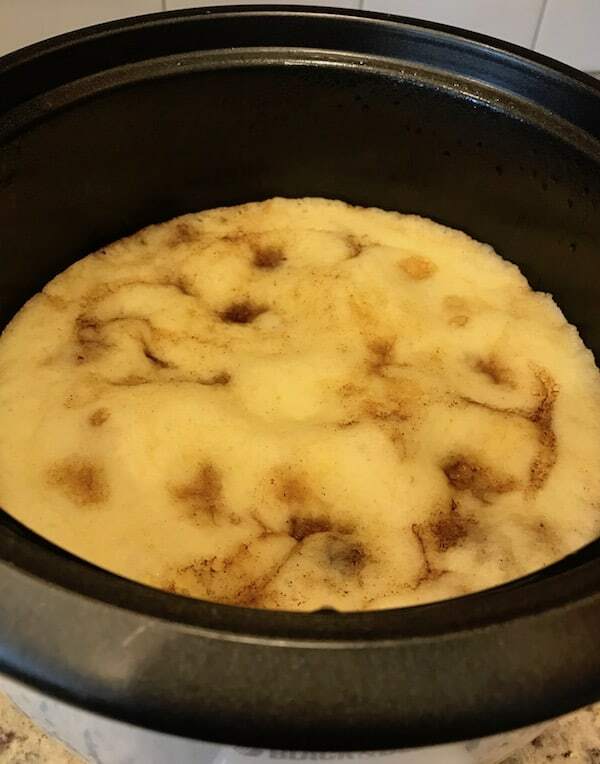 The cake should come out easily, but if there is any pineapple-sugar mixture still in the rice cooker, scrape it out and gently press it into the cake. Although you’ll love this pineapple upside down cake (I’m obsessed), it’s good to have more than one dessert up your sleeve. Well, not literally up your sleeve, but you know what I mean. 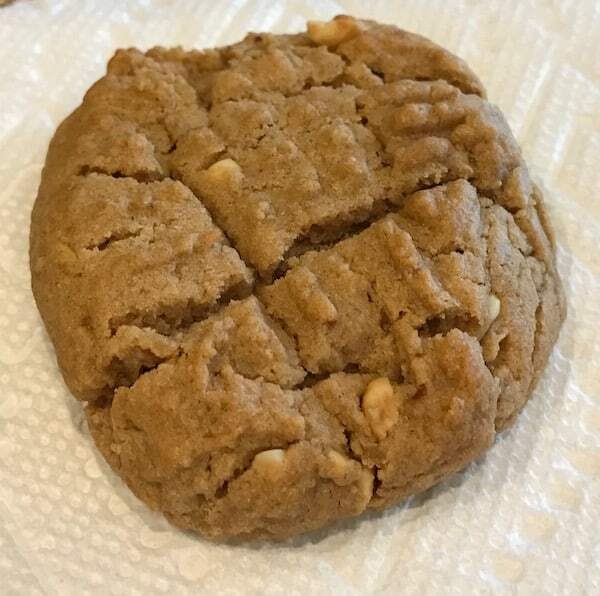 If you’re anything like me, you’ll undoubtedly love these macaroons and peanut butter cookies. Because who doesn’t like coconut and peanut butter, right? And then there’s the mug cake we can’t resist. So yum! You’re welcome! 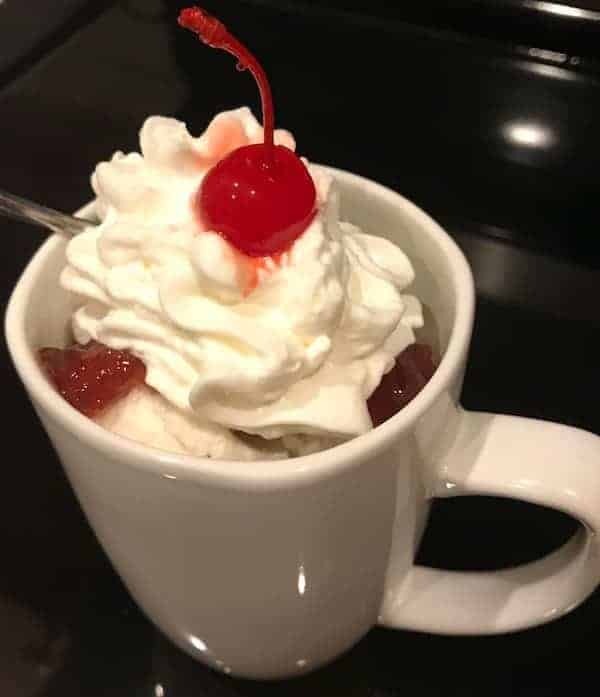 I hope you try the recipe and enjoy it!